The awareness about Pradosham or the 13th Moon has grown among people. But 15 years ago, it was not the case. Even in India, very few people knew about the 13th moon ritual. The reason behind the popularity is Lord Shiva, who presides over the Golden Age, wants everybody to be free from their karmic sufferings. So pradosham is a day when Shiva himself liberates you from bad karma, allowing you to lead a karma free life which is disease free and problem free. The world has never known a time without suffering, pain, disappointments and disease. But this is the time we need to collectively participate by observing pradosham and praying to Shiva. 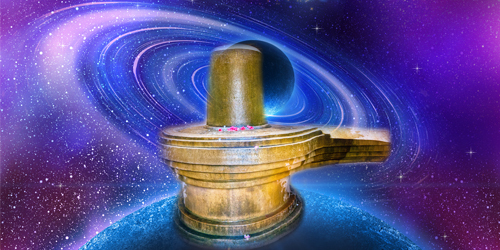 If we all observe Maha Pradosham we will enhance Shiva’s energy and make it come down to the earth plane. Chant the Thiru Neela Kantam mantra and participate in Maha Pradosham ritual offerings. Be benefitted because this is very special Pradosham, not only does it take place on a Saturday but also on a Pushya Star a star which is ruled by Saturn. So don’t miss this upcoming Maha Pradosham. It is a very significant and rare triple alignment Maha Pradosham (13th Moon, Saturday & Pushya) for you to get rid of your negative karma. The planet Saturn deals directly with our karma: negative or positive. You need to pay close attention to the movements of Saturn in order to navigate the waves of karma he brings to our life. This coming Tuesday Saturn Retrogrades in Libra. Saturn Retrograde means Saturn appears to move in a reverse direction. This is an optical illusion. For one, Saturn’s current exaltation status is canceled. Saturn is currently in Libra along with Rahu the North node, and it is in the Birth star of Swati which is ruled by Rahu. On the day of retrogression, the influence of Mars will be strong; the day is ruled by Mars, Venus and Moon will both be in constellations of Mars (Dhanishta, Mrigasira). Therefore more confrontations in the world are likely and on a personal level; be mindful of rash responses without any forethought. All planets influence life however the planets that affect you the most are Saturn, Jupiter, Rahu and Ketu. Saturn has a major impact in whichever house he transits to or occupies. He doesn’t miss a chance to deliver his particular type of life lesson. The Moon Signs Virgo, Libra and Scorpio are in the clutches of Sade Sati (7 and 1/2 half period of Saturn), so during the retrogression period, they should be more patient and cautious in all their dealings, especially with money. How Saturn’s Move Will Influence You? Saturn is the most powerful of all planets and He is matchless in giving good and bad fortunes. He deepens commitments in relationships, gives insights, opportunities and fortitude for the things that really matter in your life and is also a great stabilizer. However, the bad fortune, which is created by Saturn is enlightening, giving a person valuable perspective on life; the pain that he brings with the changes is formidable and can be dealt with & lessened. Wherever Saturn is in your birth chart, that area will require extra attention so you can fully claim your power. Saturn creates the steel inside you, allowing you to live a truly meaningful life. Donate food and money to physically handicapped people. Remedies to Saturn are highly beneficial for every Moon Sign, during a retrograde period. Masi Magha is when the Moon aligns with the Magha star in the Sign Leo, during the month of Masi (February/March). It is the best time to get your bad karma reduced or relieved to an excessive extent with the blessings of enlightened souls and your own ancestors. Moreover, Magha is the star that has great potential as it contains the energy of Royalty, Enlightenment and your ancestors. Magha is the star that connects you to your ancestors and the Masi Magha alignment only occurs once a year. You can reach ancestors on this day who are otherwise unavailable. Nataraja Abishekam is when the archetype, Lord Shiva, performs the Dance of Creation. It is when Shiva creates a new world. The Dance of Shiva frees you from what is holding you back. Get connected with the energies of Nataraja, the Dancing Shiva on the day of Nataraja Abishekam. On February 24th, we will perform a hydration ceremony (Abishekam) for the Dancing Shiva Statue, Nataraja. This ceremony only happens 6 times a year and during this time you too can make a direct link with Nataraja. The specialty of this Nataraja Abishekam is that it comes a day after Saturn Pradosham, so it will double the effect of dissolution of Karma. The yogis and siddhas look forward to this time so they can connect directly with Nataraja. Escape Velocity: You need to travel at 79,400 miles (127,800 km) per hour, to escape Saturn’s gravity, when compared to 25,000 miles (40,200 km) per hour necessary to escape Earth’s gravity.